Doxo‘s mission is to rid your life of paper-based documents and bills, but for many businesses, sending out bills by mail is still the default. 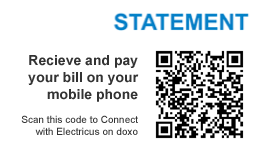 To bridge this gap between paper bills and mobile payments, doxo today launched its new Connect QR Code feature that enables businesses that use the service to add QR codes to their bills. This, says doxo, means users can just scan the code to view their bill and make a payment right from their mobile phones. This feature is now available to all doxo users. 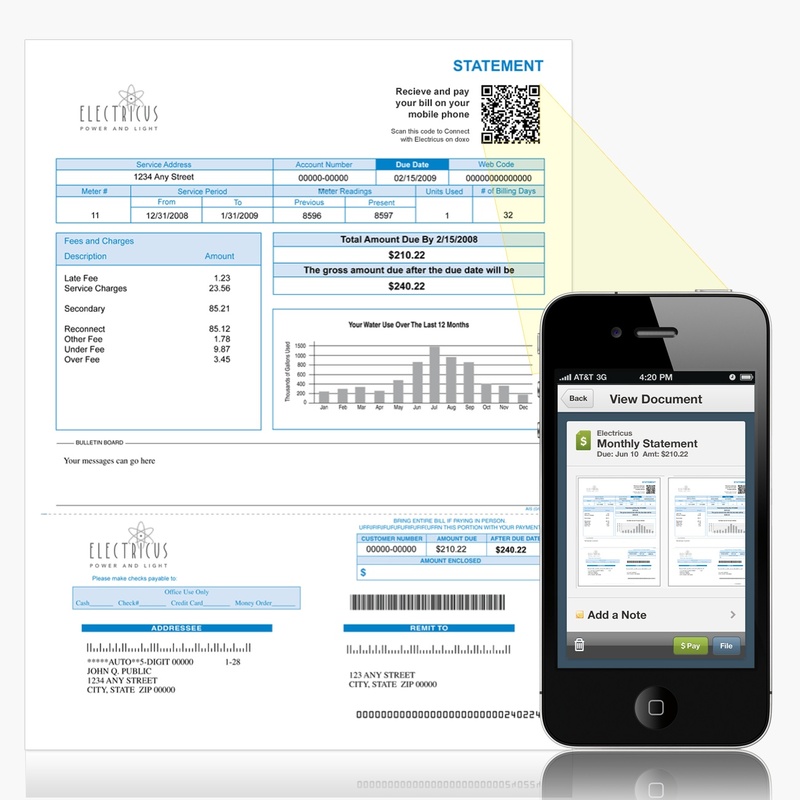 These QR codes, says the company, should help businesses to turn “any bill into a mobile payment connection point and a means to increase paperless adoption.” The QR code system is integrated with doxoPAY, the company’s mobile payment system that allows users to see and pay their bills from their Android phones and iOS devices. The companies that already use doxo include major national and regional players in the banking, healthcare, insurance and utilities markets, including AT&T, Sprint, Puget Sound Energy,Kansas City Power and Light, Sound Community Bank and the Oregon Federal Credit Union. Consumers have been notoriously slow to adopt QR codes. A recent study, for example, showed that just 9% of U.S. adults have used a QR code in the past year. Most of the time, after all, it’s more work to launch the right app to scan the code and then scan it, than just typing a URL by hand. In this case, though, using the QR code makes more sense, as it immediately connects users to their providers’ payment solution.